Applications yesterday opened for FTEJerez’s ‘Thomas Cook Mentored Airline Pilot Scheme 2018’ and we have the full lowdown for you below. Thomas Cook in partnership with the Spain based flight training provider FTEJerez yesterday announced further details about their new mentored airline pilot scheme that will take successful candidates from zero hours to the right-hand seat of Thomas Cook’s Airbus A321 fleet based at one of their UK bases. “Welcome to the Mentored Airline Pilot Scheme and Airline Transport Pilot Licence (ATPL) course run in conjunction with Thomas Cook, Europe’s leading leisure airline. The Mentored scheme has been developed with our training partner, FTEJerez, to provide a source of quality pre-selected pilots to crew our aircraft. You will undertake training under the ATPL route to the right hand seat of a Thomas Cook Airlines A321. This course has been specifically designed to teach you all of the key elements necessary for you to successfully transition to a Thomas Cook Airlines flight deck. During your training in Jerez, your progress will be mentored throughout the course by the Thomas Cook Liaison Pilot. After completion of the ATPL syllabus in Jerez, students will undergo a Thomas Cook Type Rating course. Selection will follow the usual format and battery of tests and is detailed below. The top four candidates will be offered positions on the course to commence training at Jerez in August 2018. Thomas Cook Airlines and FTEJerez have also recently announced a Scholarship inspired by Raymonde de Laroche. The scholarship is open for female applicants to be trained at FTEJerez as part of this Training Programme and further information is detailed below. FTEJerez say they are looking for high calibre, motivated individuals looking to work for Europe’s leading leisure airline. To be eligible for this mentored scheme you must have a minimum of 2 A-Level passes, Grade C or above (or equivalent), and have 5 GSCE passes including Maths, English and a Science subject at Grade C or above, as well as the right to live and work in the UK and the EU. Throughout this mentored airline pilot scheme your performance will be monitored by FTEJerez and Thomas Cook and on successful completion you will not be required to under go any further selection process but will start a type-rating to become a Thomas Cook Airline First Officer. This programme coincides with the announcement of a Scholarship inspired by Raymonde de Laroche, a Thomas Cook Airlines and FTEJerez joint initiative to attract female pilots to the profession. 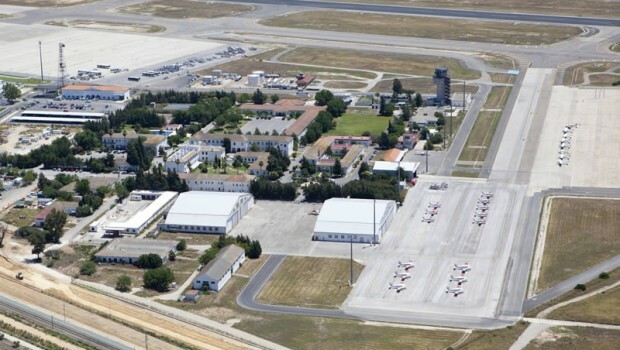 The scholarship is open for female applicants to be trained at FTEJerez as part of the Thomas Cook Airlines Mentored Cadet Pilot Training Programme. One scholarship of 30,000€ will be awarded to a successful female applicant to be applied towards her training costs at FTEJerez. Candidates will be able to apply between 16th and 30th March 2018 inclusive. Should you meet the initial criteria you will be given access to a series of questions that must be answered from your Candidate Area within the specified period. Should your application be successful in progressing to the next phase you will be required to travel, at your own expense, to Thomas Cook’s headquarters in Manchester. Currently, this one-day selection phase is expected to take place between 23rd and 26th April 2018 inclusive. The final element of the selection process will be a Thomas Cook airline interview. This will, once again, take place in Manchester between 14th and 18th May 2018 inclusive.